Julie has been one of my very best customers. She finds great pieces, and sometimes buys the ones I sell. 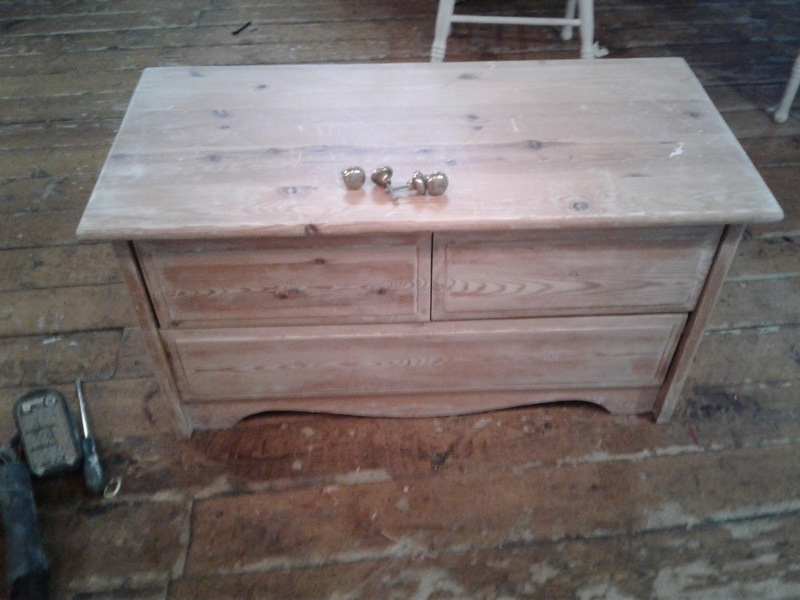 She has had this cute little chest for quite a while and asked me to redo it for her. 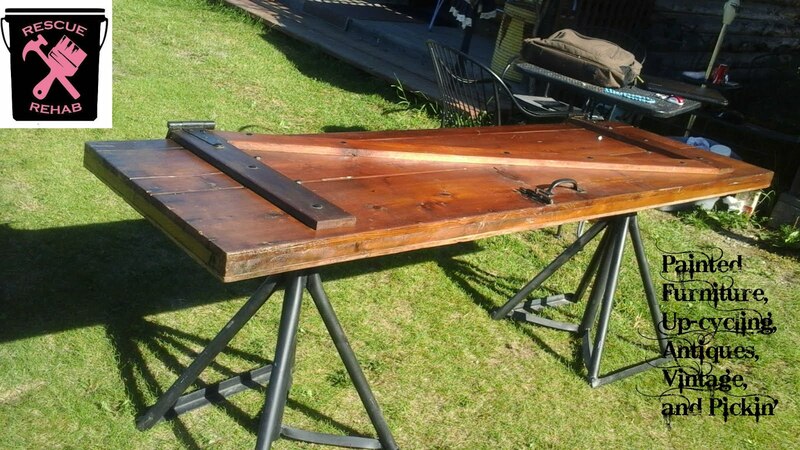 This seems to be a home made piece with wooden drawer slides. There is a little warping, but with a little care and a lot of wax on the slides it should last a long time. After sanding, I applied 2 coats of shellac. I am finding it to be worth the extra effort with older pieces of unknown history, to prevent bleed through. 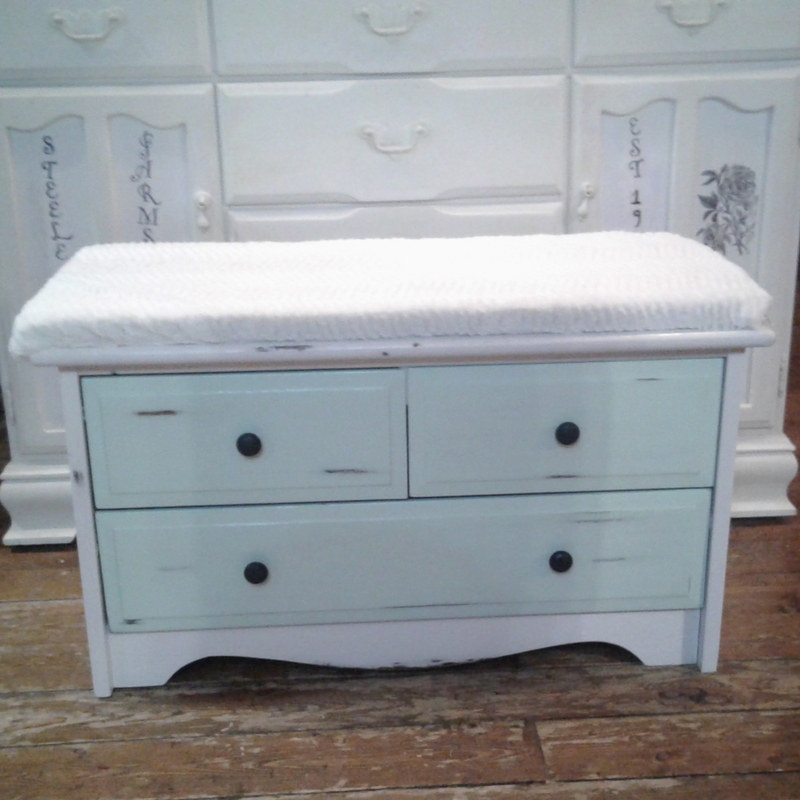 White paint on the body of the dresser and a pretty mint green on the drawers, will help it to match a set of dressers in the room it will go in. I did some distressing and enhanced it with a little black paint because the wood is so light colored. The handles were spray painted black. It was poly-coated for protection. We decided that it also makes a cute bench and she had some fabric so I made a cushion and attached it with hook and loop. I just love how this turned out! What a sweet chest--it turned out lovely! Thanks for sharing at Vintage Charm! Thank you! Thank you so much for the wonderful link party!